Secure your spot on a qualifying 2019 fall foliage rail tour for a reduced deposit of just $300 per person. Book by April 30, 2019 for travel in 2019 and mention promo code 300FALL. Offer is valid for new bookings made by April 30, 2019 for travel in 2019. Full payment is due 90 days prior to departure. Additional terms and conditions may apply. 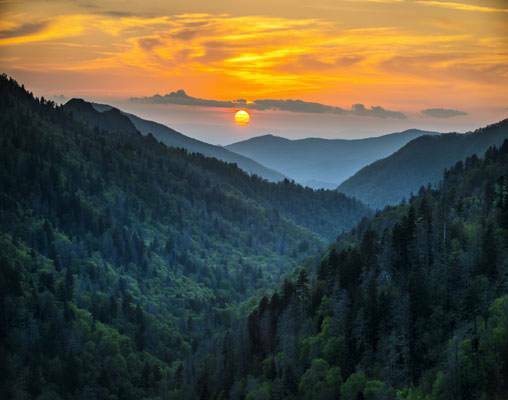 Tennessee and the Great Smoky Mountains: A region of scenic landscapes and iconic cities, and incredible sites that enrich the mind and the soul. 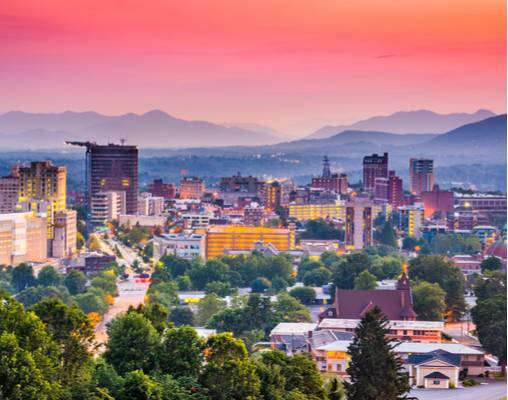 During our time here, you will visit legendary sites, some of Tennessee and North Carolina’s most beloved cities and one of the most grandiose homes in the country. 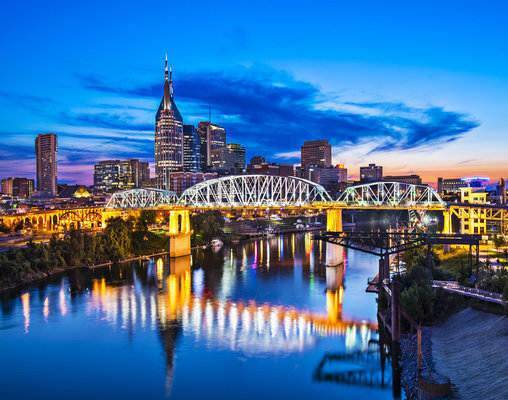 Your journey begins in Music City, U.S.A - Nashville, TN - where incredible musical history comes to life. 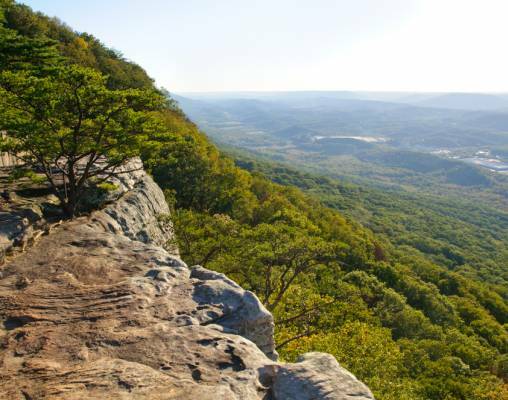 Moving onto Chattanooga, enjoy time in the city and out in the vast wilderness, as you embark on the first of several steam train rides throughout the mountainous landscape. 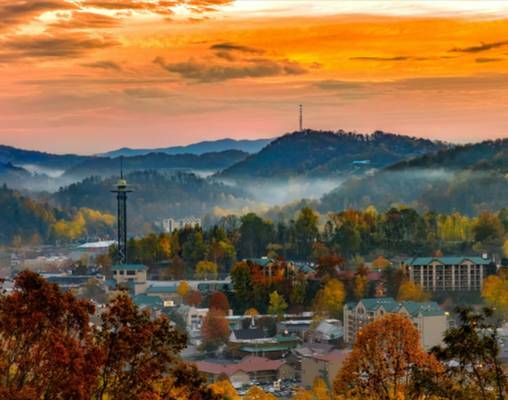 From Chattanooga, Gatlinburg awaits your exploration. Your days here are spent surrounded by the beauty of nature, with a steam train ride along the Tuckasegee River and a half-day tour through Great Smoky Mountain National Park. The tour presses on as you arrive in Asheville, NC. With a tour of the Biltmore Estate and free time to peruse the shops, art galleries and unique eateries throughout the town, your tour is sure to end with just as much excitement as it began. Arrive in Nashville, and transfer independently to your hotel. After check-in, you will have the remainder of the day to get acquainted with this vibrant city. Overnight Nashville. Follow in the footsteps of some of the world’s greatest recording artists with a tour of RCA Studio B this morning - Nashville’s oldest remaining recording studio. Immerse yourself in the sounds of history as you hear the stories of some of the greatest entertainers of the 20th century. Elvis, Dolly Parton, Roy Orbison and Waylon Jennings are just of few of the many artists who recorded some of their top hit songs here and you will see the studios where this amazing history was recorded. We will then make our way to the Country Music Hall of Fame. This iconic museum is filled with exhibits highlighting artists and musicians, both new and old, which helped to put Nashville on the map. Look out over Civil War sites, picturesque forest scenery and more from the Incline Railway on Lookout Mountain this morning. This century-old funicular railway offers a leisurely 1-mile ride to the summit, as well as stunning views along the way from large, panoramic windows. Once at the top, enjoy breathtaking views from the observation deck, shop at the gift shop, take a walk to Point Park or visit the Battles for Chattanooga Museum for a dose of Civil War history. Your tour of comes to a close today as you are transferred to Asheville’s Airport for your return flight home. Included group transfer will accommodate flights departing after 10:30 AM. 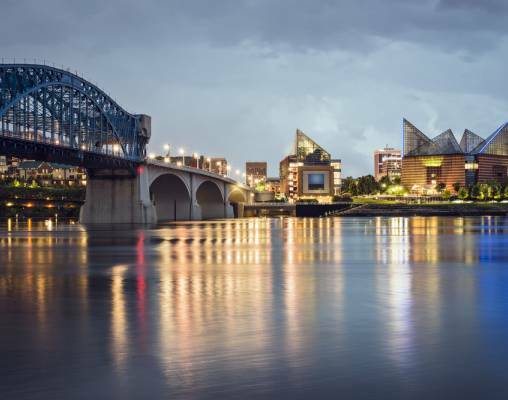 Hotels include SpringHill Suites Nashville Downtown, Courtyard by Marriott Chattanooga Downtown, The Park Vista A DoubleTree by Hilton (Gatlinburg), and Grand Bohemian Hotel Asheville. Described as a rolling time machine and a moving museum, the Tennessee Valley Railroad offers a unique look at Tennessee’s history. Passengers discover tidbits of information about the region, wonderful railway artifacts and interesting stories as they travel through the mountains. The railroad employs a fleet of vintage steam and diesel locomotives, some of which date back to the early 1900s. There are a variety of fully restored passenger and dining cars for the passengers to enjoy and routes that offer beautiful glimpses at the region. 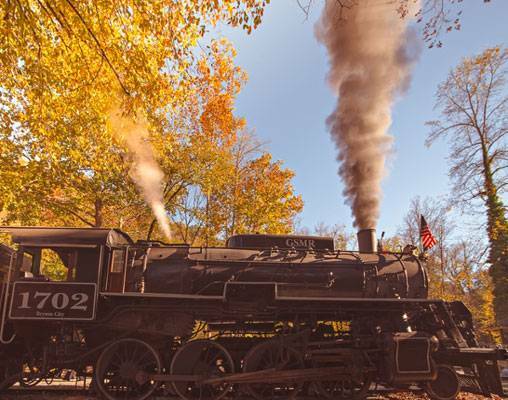 With roots dating back to the 1880s, the Great Smoky Mountains Railroadoffers enriching excursions through North Carolina’s beautiful mountains. The railway operates both diesel and steam engines on two separate routes: one to the Nantahala Gorge and another along the Tuckasegee River. Click here to view testimonials for Smoky Mountain Rail Adventure. Vacations By Rail is a great opportunity to have opportunities to enjoy travel that draws people together. The interaction among passengers and staff was great. Enter your details below if you would like to be notified when 2020 dates and prices are available for Smoky Mountain Rail Adventure.